Here is our frequently asked questions that we have received in order to best serve you. Whether you are just looking for a quick answer, how a process works, or validation in regards to a particular topic, we want to help out. If you find that your questions is not below, feel free to contact us. I need some tree work done who should I call? In addition, tree work is a very risky profession it is highly recommended that you contact a company with at least two million dollars in liability insurance as well as WSIB coverage. When having your tree looked at, you should ask for proof of insurance. How do I identify a tree on my property? There is also an app called Leafsnap. 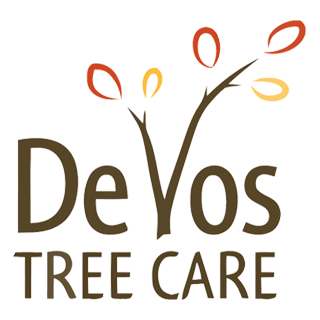 It uses visual recognition software to help identify your tree. Does the tree on our yard belong to us or the city? This varies by municipality in accordance with street tree by-laws. You should consult your municipal urban forester if you are unsure or else the fines for pruning or removing the tree in question can be quite costly. That is a great question. In order to answer it you need to know what your planting location will allow for in terms of light, width, height (ie. is it below hydro lines? ), and have a little bit of a running understanding of your soil’s composition. With that little bit of information you can now run wild with the dozens upon dozens of options available to you. To play and explore some of these options have a view through Connon Nurseries (http://connon.ca/) extensive catalogue filled with pictures and information on hundreds of trees. If you are still looking for help, give us a call. When can my tree be pruned? It is generally encouraged to have pruning done in Winter or early Spring. In general, avoid pruning between the middle of Spring through early Fall. On the other hand, if the limbs in question are posing an imminent risk then this should be taken care of as soon as possible. You can also read why prune a tree as well. How can I best take care of my tree? There are lots of things you could do but let’s start with 5 suggestions. Ensure your tree gets rain every few days during the event of a drought. Avoid driving/parking on the soil beneath the trees canopy. Have your tree pruned earlier in its life rather than later. Trees are a little bit like people; train them early in life and they are less likely to depart from this as they grow old. Know your tree. Regularly pay attention to changes that your tree undergoes so that you can catch hazards and disease before they become larger issues. For a more in depth look, check out the top 5 ways to keep trees healthy. What is the best way to remove a stump? Any stumps around 5 inches or bigger should be stump ground. Stump grinding won’t remove all the roots but it can at least open up other opportunities for landscaping or gardening. The alternative is to wait a number of years for the stump to decompose. We want to answer your questions, please feel free to call us or contact us through email.